Arduino Based GPS Watch #arduino « Adafruit Industries – Makers, hackers, artists, designers and engineers! Embedds highlights this useful project from Oscar Liang. Small GPS device is always nice to have. One thing is that it can be used to tell the time. But most importantly it is used give coordinates of your position and other derivative values like speed and distance. Oscar wanted to build small GPS watch which were small enough to carry around and have useful features like logging. 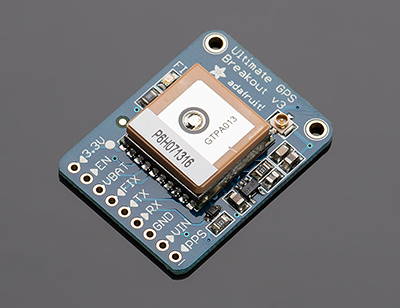 Basically, GPS watch is based on Arduino Nano board which talks to Adafruit GPS module and Mini SD card module for logging. Information is also displayed on OLED mono color display. Watch is powered with single cell 600mAh LiPo battery. Charging module is also include in to box. Initial tests show that its accuracy is about 3meters and refresh rate is about 10Hz.